London-based Zodiac Maritime has beefed up its orderbook with five ultra large containerships, according to the data from Fearnleys. The ships feature 14,000 TEU in capacity and will be dual-fuel ready, the shipbroker said. 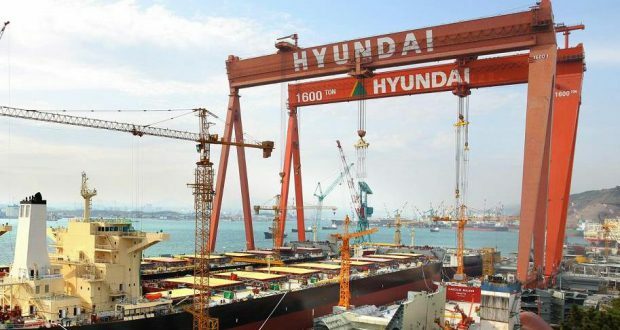 South Korean shipbuilder Hyundai Heavy Industries (HHI) is said to have secured the order, however, the builder is yet to officially confirm the deal. The newbuilding series is earmarked for delivery in 2019. Zodiac Maritime has 132 vessels in its live fleet, including 15 newbuildings. 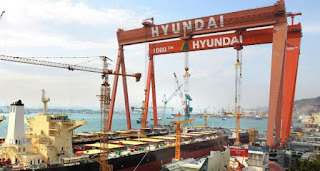 In particular, five containerships of 11,000 TEU are already being built by Hyundai and are set for delivery in 2019. Eight Post-Panamax containerships are being built by Chinese Zhejiang Ouhua, and the remaining two small chemical tankers are being constructed at Kitanihon Zosen in Japan, data from VesselsValue shows. HHI has made a big comeback to the shipbuilding scene having reaped the fruits of renewed interest from owners to order new ships. The company has secured orders for over 30 ships since the start of the year. The market recovery has also seen ship prices tick up. South Korean shipbuilder STX Offshore & Shipbuilding is to be put under court receivership as its union failed to accept the company’s restructuring plan. 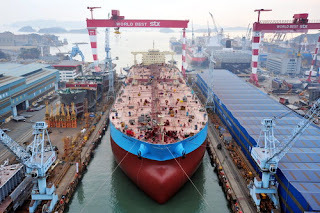 The shipbuilder’s creditors, led by the state-run Korea Development Bank (KDB), said that they would place the financially troubled company under court receivership “in principle”, according to Yonhap News Agency. The creditors previously intended to issue refund guarantees for new ships and keep the company afloat, provided that STX Offshore and its labor union agree on the restructuring measures that included a 75 percent reduction in workforce. The shipbuilder was given a deadline, which expired at midnight Monday. Although STX Offshore’s labor union, which earlier staged strike actions, managed to reach an agreement on a voluntary retirement program and other reductions in work benefits, it refused to agree on the workforce cuts. The cash-strapped shipbuilder previously filed for court receivership with the Seoul Central District Court on May 27, 2016. In mid-2017, the Seoul Bankruptcy Court decided to finalize the shipbuilder’s receivership process as STX made considerable progress in its economic recovery and managed to adhere to the debt payment schedule proposed under its previous rescue plan.